When you think of Cariloha, what’s the first thing that comes to mind? Could it be the naturally breathable fabrics that are crazy-soft to the touch? Is it the sustainability aspect of bamboo? 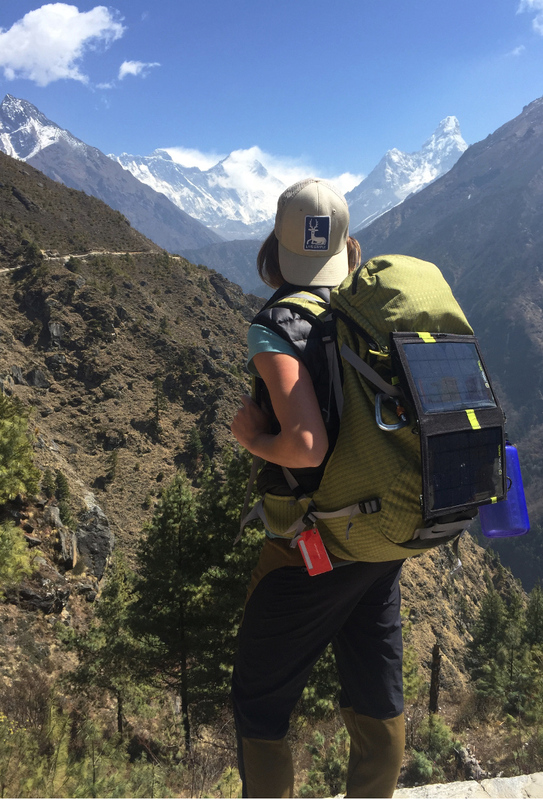 There are many enjoyable aspects of bamboo, but one, in particular, stood out to Brian and Pam Nielsen during their trip of a lifetime to Nepal and Mt. Everest. Mt. Everest, the Earth’s highest mountain, is nestled high in the Himalayas, bordering countries, Tibet, Nepal, and China. The 29,002 ft. peak has attracted experienced climbers from all over the world. And, when planning a voyage to this mountainous range, one can never be too prepared. Proper gear and apparel play a critical role in accomplishing your climbing goals. The Nielsens and their team needed unique, qualified base layers that would be naturally odor resistant, naturally moisture-wicking and breathable, and capable of preventing any skin irritations. That’s where Cariloha stepped in. Cariloha bamboo clothing is recognized worldwide for being twice as soft as cotton, 3 degrees cooler than cotton, and highly sustainable, making them an ideal fitness companion. Their Nielsen team didn’t have access to washing machines, so they required something with both odor-control and moisture-wicking properties. 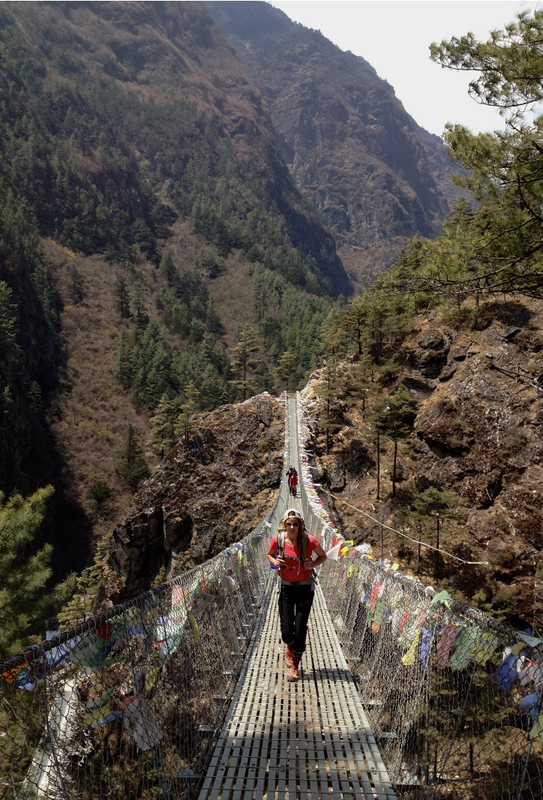 The benefits of bamboo were exactly what this Everest team was looking for. On the day of their departure from the country of Nepal, disaster struck with a 7.8 magnitude earthquake. The Nielsen Everest Team was unharmed, but over 8,800 deaths were reported with over 25,000 injured. This earthquake left thousands of people homeless while destroying countless historical buildings and cultural architecture. The people of Nepal, India, China, and Bangladesh need your help. You can get involved and donate through one of the non-profit organizations listed below. Several of these organizations are aiding in various ways to assist in the immense recovery process. 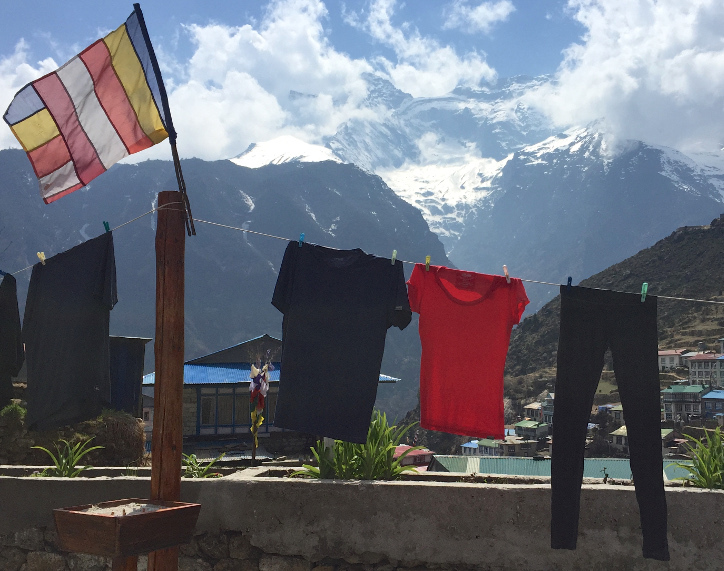 Donations go directly to aid in Nepal.